Executive Functioning (EF) refers to brain-based abilities that allow us to harness our energy and focus on goals—in short, EF allow us to manage ourselves and get things done. A wide variety of people struggle with executive function. Some people who struggle with executive function have no diagnosable disorders. Others who struggle in this area have ADHD, Autism, learning disabilities, anxiety, depression, and other conditions. Often, people who struggle with mood disorders can have cyclical problems with executive function. 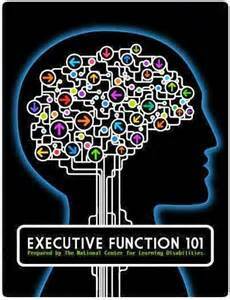 What is an Executive Functioning Coach? In collaboration with the young adult, effective ways to personalize their education and get them on track academically are developed and implemented. Learning and life management strategies, which will enhance the young adult’s success in the college environment will be put in to place. Our coaches are the young adult’s accountability person, someone who provides no judgment, is empathetic, warm, and fun, yet will be sure to support the young adult to stay focused on their goals and objectives. CCS coaches are not academic advisors, however we will attend advisor meetings to ensure all important information is shared and remembered. – It’s a chance for the client to talk about their experience in college, in and out of the classroom. – Our clients are listened to, not judged, and taken seriously. policies and might be aware of options not previously considered. – Our coaches support the client to develop a study schedule and routine, and provide accountability to the client to support their follow through. – Clients have the option of participating in CCS supported activities and groups to increase their social connection and support. Client is in need of the support of a coach who understands when they are feeling a lack of confidence about their academic performance. Help the client understand their limitations, what can be done to improve them and accommodate them to support success in the academic arena, as well as with life management. Strengths are assessed and highlighted and an academic and life management plan is built around the clients strengths, and continuing what works. Improve motivation and feelings of empowerment, which occurs because of our strength-based approach. Have questions about any kind of academic policy and support the client in finding the answers. Are considering changes in their schedule or major. Feel undue academic pressure and are struggling to cope and find solutions. Guide and accompany client to important departments on campus, such as disability services, tutoring center, academic services, counseling services, etc. We support our clients to apply for and receive academic accommodations through the disability services. We walk with them every step of the way. Time Management, which includes daily planners and “to do” lists, weekly schedule, semester calendar, managing each syllabus effectively, and realities, boundaries, priorities, and rewards. For more information email us at, info@collegiatecoachingservices.com. Call us at 303-635-6753.